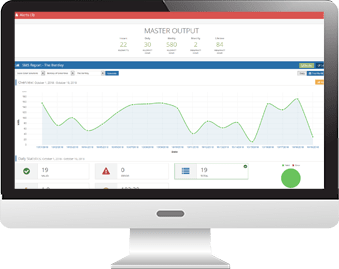 Whether it's one system or thousands of systems, you will now have the ability to utilize a fully-integrated solar monitoring solution that is customized for you. 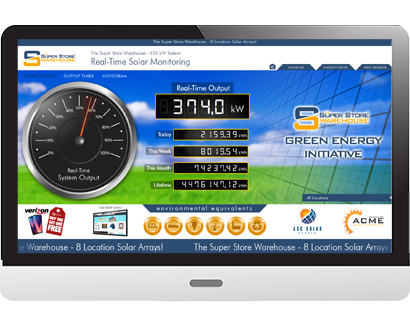 Let everyone interact with your monitoring system and see how much energy you are producing and how your renewable energy installation is helping save the planet. 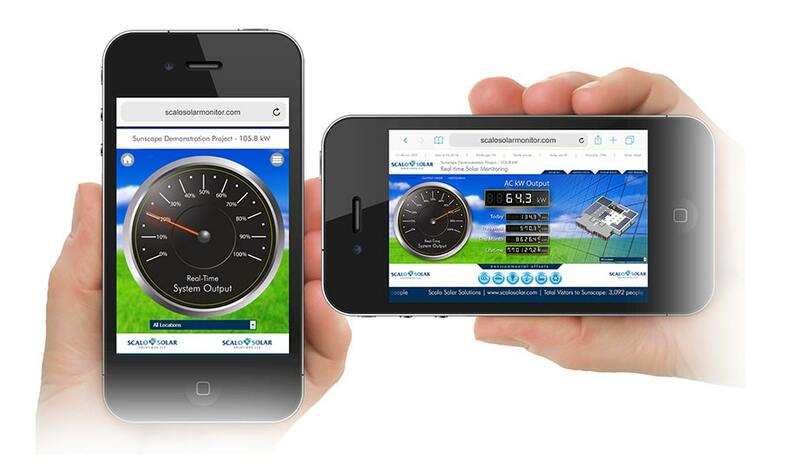 Let DMS become your Solar Monitoring Partner. Everything customized to your style and branding, we remain invisible, run the back-end, help you build stronger client relationships and...make you money. 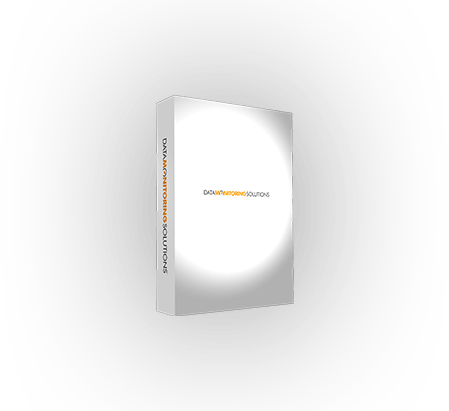 Weather it's one system or thousands of systems, you will now have the ability to utilize a fully-integrated monitoring solution that is customized for you. Established in 2006, Data Monitoring Solutions has become the standard for data monitoring services. No more lifeless graphs and engineering specs to tell the world about your green-conscious efforts, now you can display your energy production with pizazz, branded with YOUR LOGO, YOUR COLORS and even YOUR UNIQUE STYLE. DMS has quickly become a leader in providing secure data monitoring. Our highly sought-after services are dynamic and versatile, allowing integrators to do what they do best and take full advantage of our world-class White Label Monitoring Program. DMS provides a clear and concise integrated solution for your solar monitoring needs. 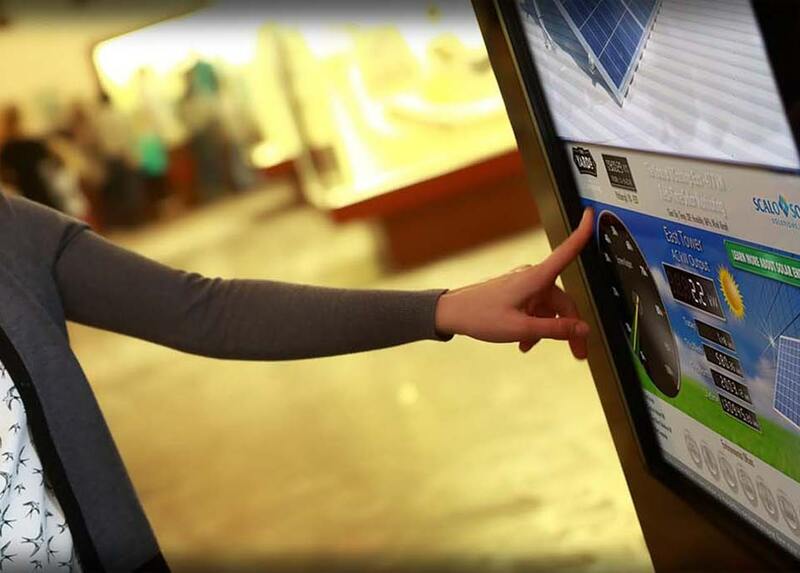 Our animated graphical displays give instant, real-time power outputs, as well as information about the solar installation. 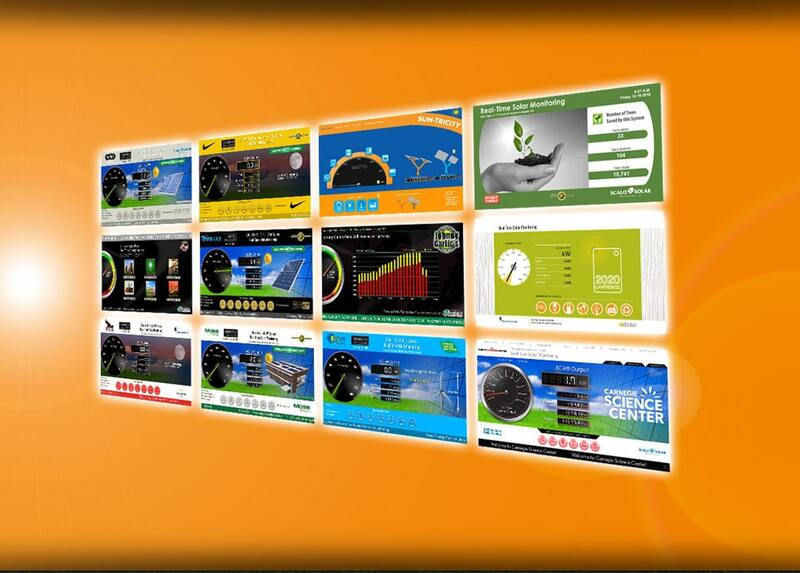 In addition to a comprehensive set of management charts and reports, our Display Dashboard is an excellent way to give your visitors and customers a high-level view of your important energy-saving initiative and your commitment to Green Energy. 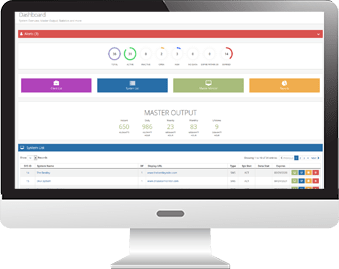 From one system to hundreds of systems, you can manage every facet of your monitoring program: display settings and daily, weekly or monthly reports are under your command. With 24/7 cloud-based access, you're in complete control. At home, at work or in the Bahamas, the power of DMS is in your hands. With our cloud-based system, you and your team can easily manage systems or view statistics and reports from anywhere in the world. We know how important it is for things to run smoothly. With automated reports, you choose how often you'll receive overview reports of your system's stats - daily, weekly, monthly or never. Our contracts come with a FREE basic visual 3D rendering of the installation site so that customers and clients can see it on your display. Just provide us with the basic layout and photos, and we'll take care of the rest. Compatible With All Mobile And Tablet Devices. Learn about the leader in energy monitoring systems and how we can integrate data monitoring with your system. Want A Free Demo Monitor ? Fill in this short form and within 24 hours we'll send you a link so you can visualize what your custom monitor could look like, complete with login information to demo your backend portal. 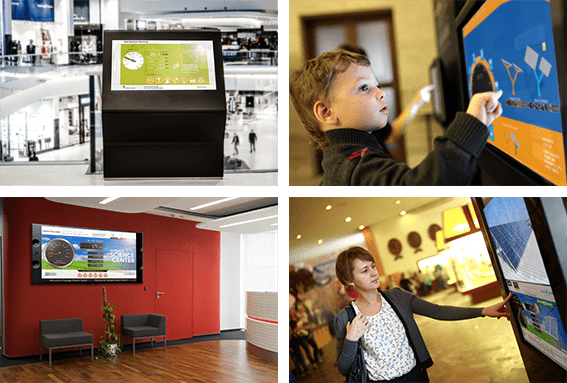 Fully customizable images, logos, colors, gauges and other features let your display monitor match company branding. Let Us Help Your Brand Shine! Let Unicus Marketing, a DMS sister company, make your brand shine. With 25 years as a full-service marketing firm, you can manage every facet of your monitoring program: display settings and daily, weekly or monthly reports are under your command. Unicus Marketing handles all 3D renderings, videos and other marketing content. Enter your email below to speak with a Unicus marketing expert today to discuss how they can serve you. 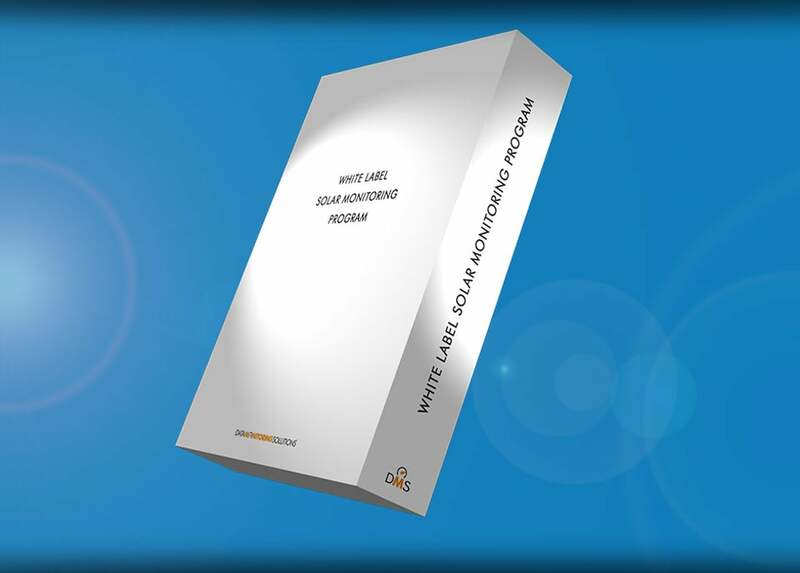 Discover White Label Data Monitoring and add even more power to your company's product line.